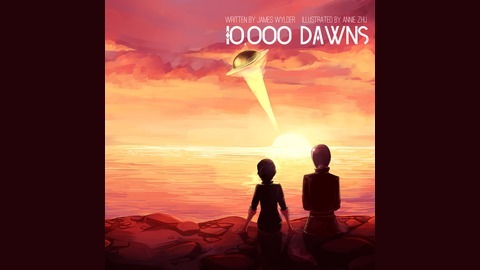 10,000 Dawns, by James Wylder, Illustrated by Annie Zhu In the far flung future, Graelyn Scythes is trying desperately to get out of her normal life, and takes a job in an underwater city, which isn't what it appears to be. The secret project being worked on there will take her on an adventure far beyond anything she'd imagined, joined by a mysterious cyborg named Archimedes, the pair don't just have the Universe to explore: they have every Universe. 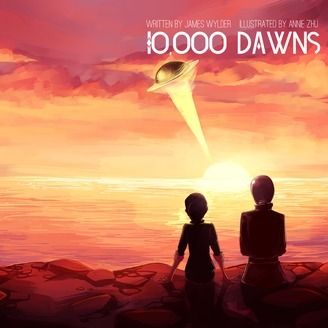 Special Episode: 10,000 Dawns Kickstarter from Go Fund This! Twitter: @arcbeatle Facebook: https://www.facebook.com/arcbeatlepress Website: jameswylder.com TO The KICKSTARTER!